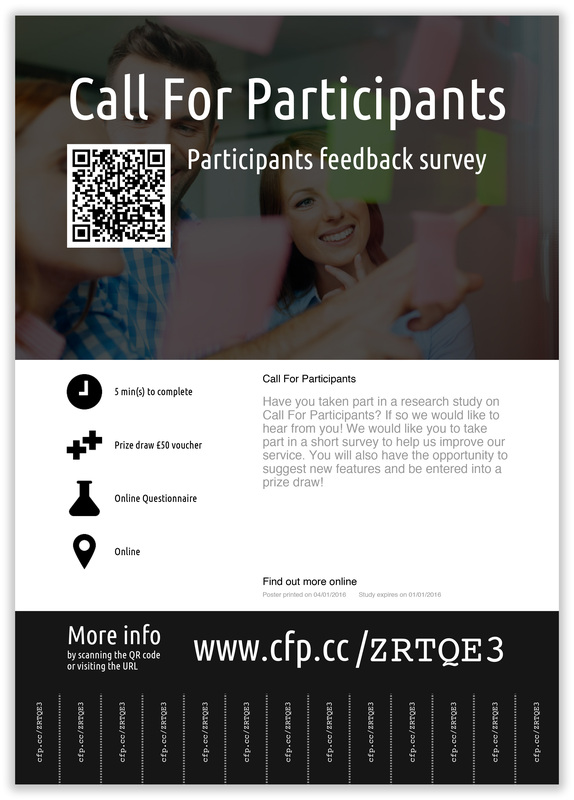 Call for Participants is all about saving researchers time and money. Today, we take a huge leap forward in that by officially introducing our poster feature, which allows anybody to create and print a beautiful participant recruitment poster with a single click. Every day, we all have to do things that take up our time and take time away from doing what we love or what inspires us. So when we started CFP, we wanted to make participant recruitment easier for researchers so they can focus their time on what inspires them. Picasso was Picasso because he loved to paint. But others might hate painting or other such arty activities - such as, let's say, creating a poster for your participant recruitment. That's why with Call for Participants, after you have created your recruitment study page, you can press a single button, and voila - your study poster is ready. You can save the A4 sized poster saved to your computer or printed directly from your web browser. It even works on mobile if you are that busy. Quite frankly, we think it's the best thing since sliced bread. And to help the busy bee admin people, we've even thrown in poster printed and study expiry dates so that they know when you've put the poster up or when to take an old poster down, keeping the notice boards at your university tidy. Simply put - it's a win-win. We have also made it super simple for anyone to print any study's poster. For example, if you are a researcher recruiting parents with children aged 1-3, you could ask local nurseries to put up your study poster, which they can print directly from your study page. Or you might want to help our a fellow researcher from a different department and print out their poster to hang up in your department. Whatever the scenario, one thing is certain - using the poster feature is the simplest thing. You deserve a reward - go have a nice cup of tea!